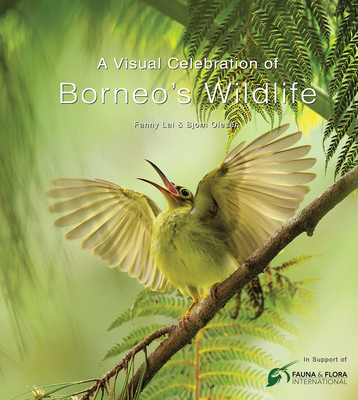 Illustrated with more than 350 images, taken by Bjorn Olesen and other wildlife photographers, A Visual Celebration of Borneo's Wildlife is a photographic tribute to the most spectacular wildlife species on the second-largest tropical island on Earth. It displays nature's beauty, revealing many private moments of the astonishing biodiversity of Borneo, where nature runs riot. Based on the latest research, it is filled with captivating little-known facts about the wildlife that modern-day travelers may come across when visiting this enchanting island. It also describes the top 16 wildlife locations in Borneo, with a comprehensive list of recommended reading, websites and blogs provided. Also included is a foreword by HRH Princess Laurentien of the Netherlands, President of Fauna & Flora International. Fanny Lai is passionate about wildlife. She is a cartoonist, author, travel writer and former Group CEO of Wildlife Reserves Singapore comprising of Singapore Zoo, Night Safari, Jurong Bird Park and River Safari. She is equally know for her entrepreneurial business development skills following a career that has spanned more than 30 years in branding marketing and corporate management. Fanny holds an Executive MBA from the University of Chicago Graduate School of Business. Bjorn Olesen is a retired corporate executive, award-winning wildlife photographer, author and engaged conservationist. A Singapore permanent resident, he lived for 16 years in Malaysia and Indonesia, so Borneo, which he has visited dozens of times, is literally his home turf. His images and articles have appeared in overseas and local publications. All of his photos are available free of charge to non-profit NGSs.